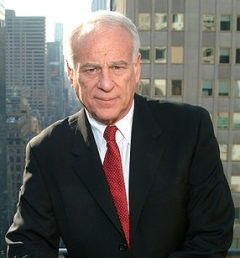 Add serial entrepreneur Malcolm Bricklin to the list of people interested in getting a crack at the 2,000 or so automotive dealerships that are scheduled to be shut down by either General Motors or Chrysler in short order. Unlike most other interested parties, though, Bricklin's plan would also include his Visionary Vehicles venture purchasing up to 300,000 new vehicles from the two beleaguered automakers, which would then be upgraded with luxurious interiors and *ahem* a hydrogen hybrid drivetrain. Presumably, they wouldn't be gullwinged 'safety' cars like his short-lived SV-1 1970's wedge (above). We're not completely sure what Bricklin's proposed hydrogen hybrid powertrain would entail, but he tellingly says that everybody else says it's a scam. Yep, you guessed it: an onboard electrlyser would supposedly extract hydrogen from water. According to Bricklin, "I know I have a product that I can put on cars that will make them get 100 percent better mileage." We'll see how it all works out in about 90 days, which is when Bricklin says his first prototype will be ready. "I really believe this is why I was put on this Earth," he said in a recent interview. "All those mistakes, and all those lessons, and all those experiences have led me to know exactly how to take advantage of this technology." We'll see.